Perfect for wet weather during the warm season, this Muck Boot Chore features the XpressCool™ moisture wicking lining. Like all the Muck Boots, the Chore Cool is 100% waterproof, so don’t be afraid to hose them off when you’re done. Our linemen love these boots. Although not designed for climbing, they do have a standard steel shank that provides enough arch support for ground work. 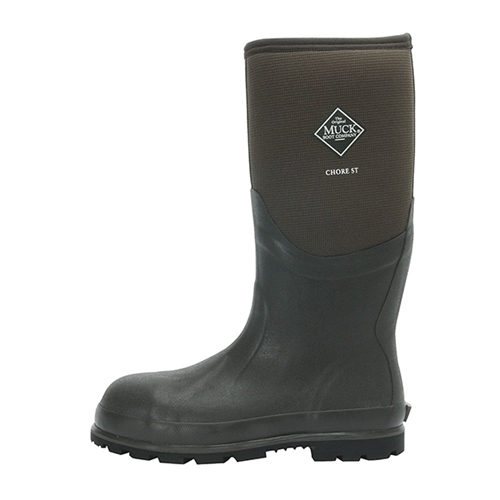 Muck Boots® Chore Cool Steel Toe has a rating of 5 stars based on 2 reviews.